1 - is "nodata area"
2 - is "raster's body". Area № 1 plus area № 2 - is bounding box. Area № 1 - is no data values. Area № 2 - is footprint. Conversely, the value 0 means that the corresponding pixel in the image holds a no data value (e.g. unknown, withheld). Typically, it must be made transparent when displaying the image. Calculating area of pixels in continuous raster using ArcGIS Desktop? 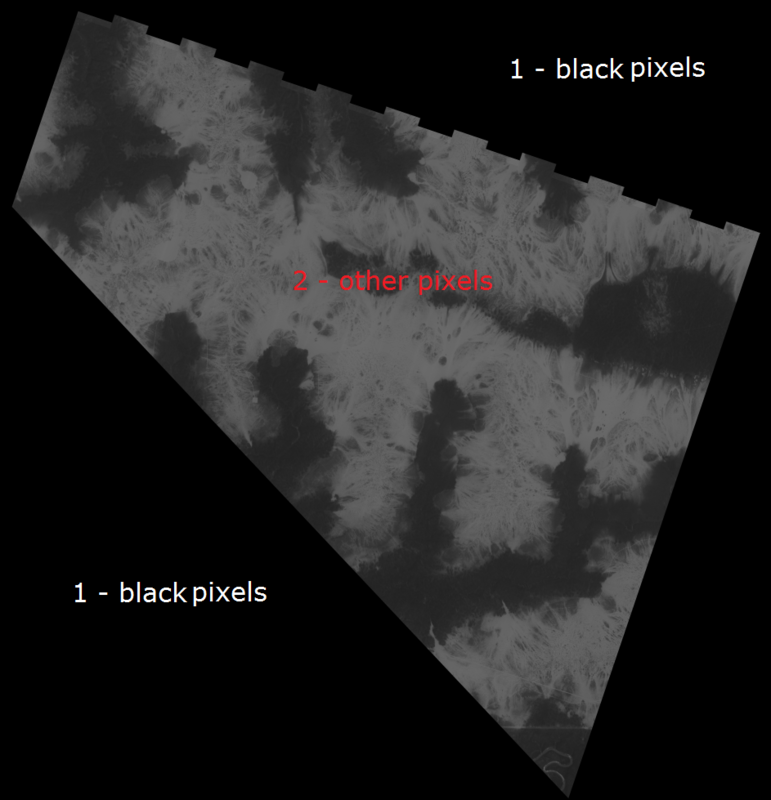 Removing black pixels of georeferenced image without affecting interior pixels using GDAL?